When you riding for a long ride especially with your friends or with your loved ones its just more than a journey, its a memory that you will remember. In such cases,some thing that accompanies you is your Entertainment system and it also helps you manage all your control features at a single place. Yeah Infotainment System are your central hub for all your details. Hyundai is here with a new concept of Infotainment system called a Display Audio. The Display Audio is a touch screen based unit which will be seen in upcoming models in future. The new unit is truly dependent on the Smartphone for all its purposes. The Display Audio has capability to connect with your Android and iOS devices. It will be compatible with Apple CarPlay and Google’s Android Auto. The Display Audio is 7 inch screen device which will eliminate your navigation system and CD player in your Car. The features of Audio Display are pretty good. Its uses your smartphone’s Data Connections and Location facility to enable navigation control. The Auto Display will notify information such as Calendar events,Phone calls and weather information. As the technology improves the way of Smartness Spreads in all parts of Industry. The security features includes Remote Door Lock/Unlock and Stolen Vehicle details. 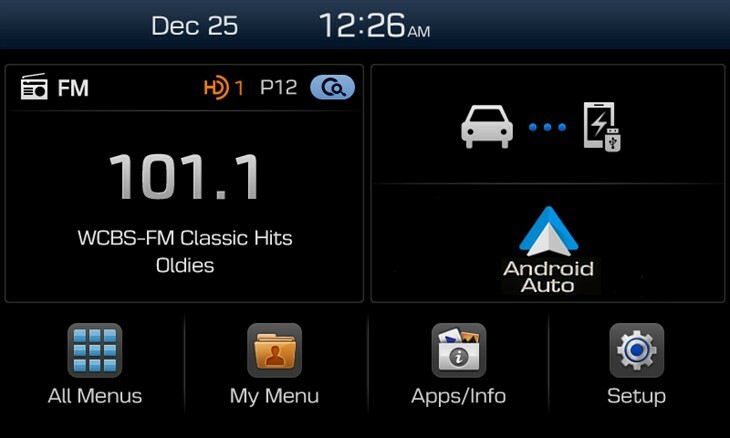 This is going to be great revolution in Infotainment System. Subscribe to our news feed to stay in touch with GaadiKey news! Nice to read this blog, and also got many useful points. Keep sharing.